The first plumbing water trap was invented by Alexander Cummings in 1775. Although there have been variations over time, it has remained largely unchanged for over 200 years, until HepvO came along. 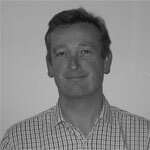 Hi, I’m Tony Smith, and this is HepvO, a waterless trap system from OSMA. It won’t dry out. It won’t gurgle, and it won’t let you down. Today, I’m going to show you how the unique design of HepvO does everything you expect from a conventional water trap, but without any of the hassle and problems that can often be associated with traditional systems. Here’s how it works. HepvO uses a self-sealing valve designed to prevent foul-smelling sewer odors coming back up the pipe and into the building. Sometimes, water traps can lose their seal due to evaporation, siphonage, leaking or movement, but unlike a typical trap, HepvO doesn’t rely on water to create a seal and so doesn’t carry those risks of failure. Instead, it uses a self-sealing elastomeric membrane which, as we can see here, performs exactly the same function as a water trap, but without the risk of evaporation, siphonage, leaking or movement. During manufacturing, the silicon valve is firmly fixed to the body of the fitting, which means that the valve cannot accidentally be removed or dislodged in a way that might affect sealing performance. If we look closer, we can see as water enters the valve, the membrane opens and stays open till the flow stops. HepvO is made with a rigid body, which prevents any distortion of the membrane. Inside the fitting, the silicon valve discharges into a smooth ball preventing a buildup of waste material and ensures outstanding flow. When it comes to flow rates, HepvO exceeds the traps’ requirements set out by British and European standards for 1.25 inch and 1.5 inch traps with a 75 millimeter seal when installed either vertically or horizontally. As only a very small amount of water is needed to open the membrane, HepvO is also suited for condensate drainage, for condensing boilers, air conditioning units, or heating interface units. Due to its unique design, there is no U-bend in which waste material can potentially buildup causing blockages and smells. Tests have proven that not even soaps, detergents, hair or food particles can block the valve. What’s more, HepvO also admits air into the drainage system, so there’s no longer a need to add a 40 mm air admittance valve for branch ventilation to relieve negative pressures. Plus, you don’t get any of the gurgling noises you get with a water trap. As HepvO is waterless, there’s no chance of evaporation, so it’s also great in situations of infrequent use, like holiday lets, guest bathrooms, park homes, and performs successfully in motor homes, other moving vehicles, or even boats where water traps can lose their seal through movement and vibration. 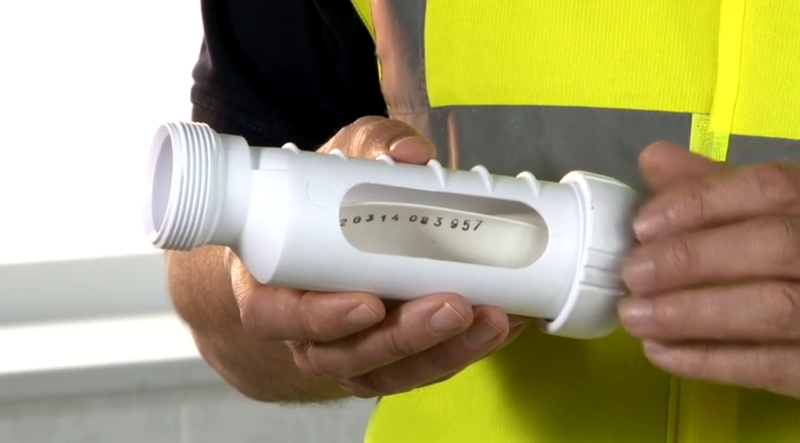 HepvO can also be fitted to the discharge of unvented hot water storage systems with capacities up to 410 liters, allowing a direct connection to sanitary pipe work, providing the storage system is fitted with a temperature and pressure relief valve. HepvO is available in a kit with a tundish adapter precisely for this application. It’s also good to know that HepvO has been extensively tested and is resistant to common chemicals such as cleaners and detergents containing sodium hydroxide and solvents including turpentine, kerosene and paint thinners. With millions of HepvO successfully installed and working in homes and businesses in Britain and around the world, you can have complete confidence when using it. But what about installing HepvO ? Well, it couldn’t be easier. Just cut the pipe to length, allowing for full compression socket depth, remembering to deburr any sharp edges or loose material from the pipe. Unscrew the cap from the outlet/inlet adapter and slide the cap and rubber seal onto the pipe. Now insert the pipe end fully into the socket. Slide the rubber seal and screw cap up against the face of the socket and tighten the cap. By hand is tight enough to form a proper seal. But remember to make sure it’s not cross-threaded. Also, don’t forget to make sure the water flow indicator is pointing in the right direction and, if installing it horizontally, ensure that the ribs are on the underside of the fitting. Offer the HepvO inlet to the threaded waste and hand tighten. Check that the connection is secure. As well as the HepvO valves in 1.25 inch and 1.5 inch sizes and a tundish adapter kit, the range also features knuckle bends for horizontal connections and running adapters for connections to pipe. Also available with the OSMA range are reducers to 21.5 mm for condensate drains. And that’s it for a hassle-free, odorless valve system that can also save you a bit of space and really performs, it has to be HepvO , the system that gives you all the benefits of a water trap system, but without the problems. Till next time, I hope you found this useful and thanks for watching. If you are interested in learning more about our Waterless Trap range then read up on HepvO.